Small business owners and entrepreneurs across all industry sectors only have ONE DAY left to enter the 2016 South African Small Business Awards. 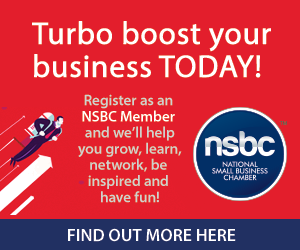 This year marks the eighth anniversary of the highly coveted awards, which are hosted by the National Small Business Chamber (NSBC). The awards celebrate and recognise the tireless hard work and outstanding achievements of the small business community in South Africa. Hosted by the NSBC, and proudly sponsored by FNB, Adams and Adams, DHL and World Famous Events, the South African Small Business Awards pay tribute to the contribution that small businesses make in building communities and creating much needed employment, all while providing quality goods and services to their valued customers. 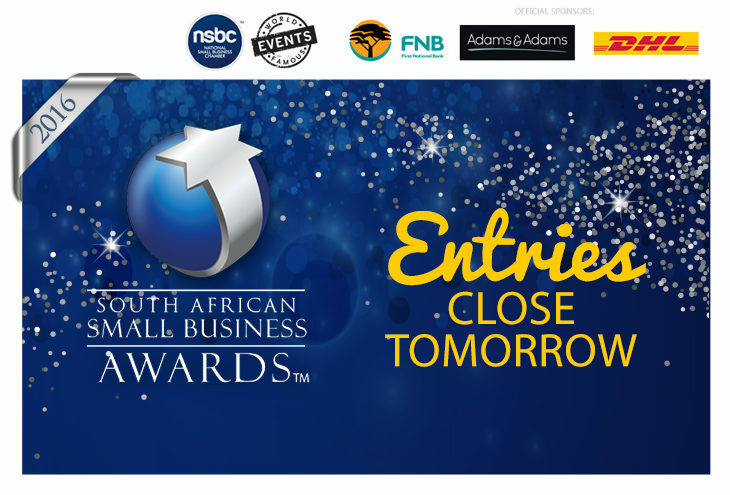 Entries for the 2016 South African Small Business Awards officially close tomorrow, 07 October 2016. This year’s winners will be announced on Thursday 10 November at a special gala breakfast event at Montecasino in Fourways. Mike Anderson, founder and CEO of the NSBC, says the growing number of entries and continued success of the awards is testament to how important small business is to the South African economy. ‘More than ever before, small businesses have a critical role to play in job creation, poverty alleviation, service delivery, and wealth creation,’ he adds. The South African Small Business Awards comprise four categories including National Small Business Champion, National Entrepreneur Champion, Woman in Business Champion, and Young Entrepreneur Champion. The awards programme draws thousands of entries each year and to be shortlisted as a finalist is the ultimate recognition for a small business owner. It is also a springboard to enhanced success as winners go on to enjoy new, even greater businesses opportunities. ‘Small businesses and go-getting entrepreneurs have only one day to submit their entries for the chance to take their business to the next level,’ says Anderson. Tickets to attend as a delegate on 10 November are now on sale. Due to high demand, space is limited. For more information on the 2016 South African Small Business Awards, go to www.smallbusinessawards.co.za or to secure your ticket, click here.